The benchmark Sensex on Monday touched a new lifetime high on intra-day basis amid a rally in global markets after encouraging manufacturing data from China eased worries about global economic slowdown. The 30-share blue chip index climbed as much as 443 points in intra-day trade to 39,116, surpassing its previous intra-day high of 38,989 on August 29, 2018. The index, however, failed to sustain the gains due to profit-taking, following last month’s 8 per cent jump. 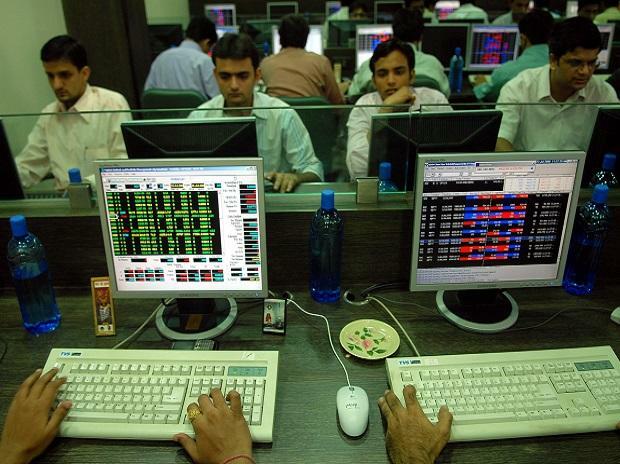 Sensex ended at 38,872, up 199 points, or 0.51 per cent. Its previous all-time high on closing basis was 38,897 on August 28, 2018. Meanwhile, the Nifty50 index rose 45 points, or 0.4 per cent, to 11,669, 70 points below its lifetime high of 11,739. Most global markets rallied over a per cent on Monday after China manufacturing Purchasing Managers Index for March beat the highest estimate, indicating acceleration in a key auto market. Shares of Tata Motors, whose luxury car unit Jaguar Land Rover has significant presence in China, gained 7.4 per cent, the most among Sensex components. China’s Shanghai Composite rose by 2.6 per cent, Japan’s Nikkei rose by 1.43 per cent, and Hong Kong’s Hang Seng by 1.8 per cent. Back home, expectation of a rate cut by the Reserve Bank of India at its April 4 monetary policy meeting also upped sentiment, particularly towards banking stocks. 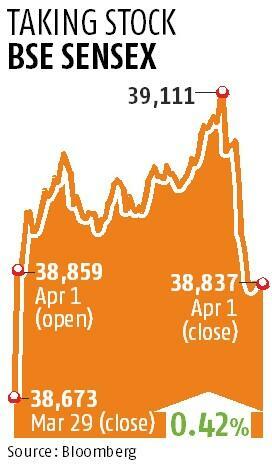 The Bank Nifty index, after climbing to a new lifetime high of 30,648, ended marginally lower. On Monday, foreign institutional investors (FIIs) bought equities worth Rs 898 crore, while domestic institutional investors sold stocks worth Rs 1,032 crore. Last month, FIIs had poured in over Rs 31,000 crore ($4.8 billion) into domestic stocks. “We believe the surge in flows into emerging markets equities that commenced in February is likely to continue for now, and could push Asian equities to higher-than-average valuations,” said Manishi Raychaudhuri, head of equity research Asia Pacific, BNP Paribas.